Nightlight Christian Adoptions in Texas is licensed by the Texas Department of Family and Protective Services to select suitable families for children in need of adoption. The selection of adoptive parents is based on their eligilibility to meet state and agency requirements, foreign country requirements (if applicable), their capacity for adoptive parenthood, and the availability of children whose needs they can meet. 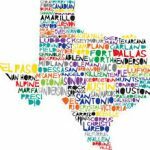 Nightlight’s Texas office, with offices and staff in Waco, Austin, DFW, and Houston, can provide home study services for families around the state for Domestic, International, or Embryo adoption. Nightlight’s Texas office can perform Agency Adoptions only for families living in Texas. Other Domestic adoption services are available to families throughout the United States. Please contact our office for specific details. Upon completion of your application, we will review it and contact you. We will provide you with initial documents by email that will need to be completed and uploaded online through our secure portal. Once the initial documents have been received and reviewed, we will forward you another packet of information relating to the supporting documents that you will need to gather and submit to complete your home study. International and Domestic home study fee: $2000. If you have questions, contact John Hewitt by phone at (254) 741-1633 or by e-mail at john.hewitt@nightlight.org. We are excited to walk you through the process of getting your home study finished!